Just press the button on Spectacles once to record a 10-second video Snap. While wearing Spectacles, you should see an inner LED appear after pressing the button. This’ll let you know that your Spectacles are recording a video! They’ll blink twice when they’re done recording. 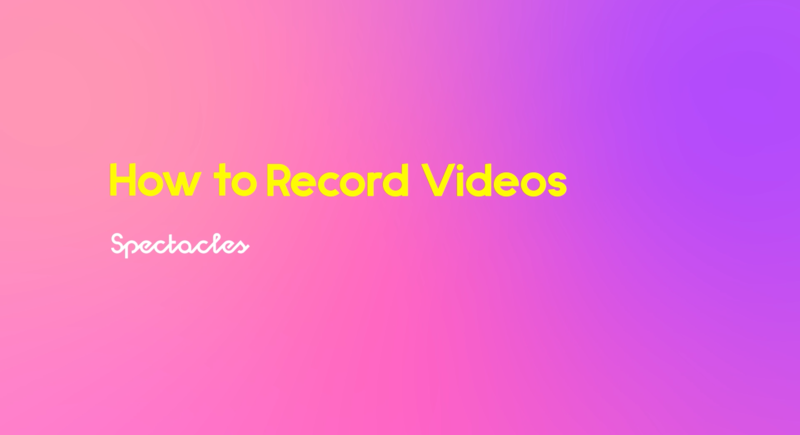 To keep recording, just press the button again to record for 10 more seconds. You can press it once more to record for 30 seconds total! These will show up in Snapchat as three separate 10-second Snaps. To stop recording, just press and hold the button for about two seconds. The LEDs on the outside of the frame will let your friends know when you’re recording. The LEDs will light up in a circle, and will fade away until you’re done recording. 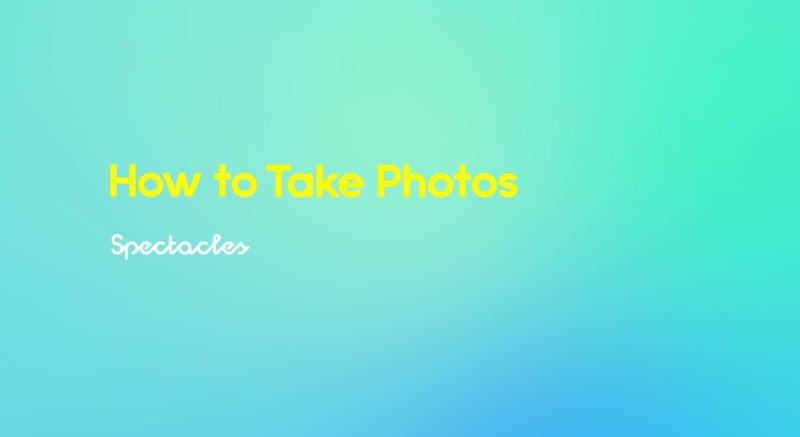 Press and hold the button on Spectacles to take a photo Snap. While wearing Spectacles, you should see an inner LED flash once. This’ll let you know your Spectacles took a photo Snap. The LEDs on the outside of the frame will light up, too, to let your friends know you’ve when you’ve taken a photo. Snaps taken with Spectacles can only import into the Snapchat account the Spectacles are paired with. Learn more about how to pair Spectacles here. Our First-Generation Spectacles (Black, Coral, Teal) are not water resistant, and should avoid getting wet.